The first day of the convention began with an unconventional note. The newly minted lieutenant governor for the state addressed the crowd just days after being sworn in. Valerie Davidson took the position after former Lt. Gov. Byron Mallott resigned. She spoke briefly about the incident. Davidson recognized that she had a lot to learn about the state’s executive branch. Davidson pleaded with the audience. Gov. Bill Walker then took the stage and quickly addressed the turmoil his office faced this week. Walker then discussed the Alaska Tribal Welfare Compact. The agreement between Alaska Native tribes and the state promotes the wellbeing of children. Walker talked about attending the funeral services for Ashley Johnson-Barr, a 10-year-old Kotzebue girl who went missing for several days before she was found dead. A 40-year-old man is a suspect in her murder and currently awaits trial. Walker also talked about the Indian Child Welfare Act. The federal law was recently struck down by a Texas federal judge. Walker’s office released a statement, but he echoed its sentiments Thursday. 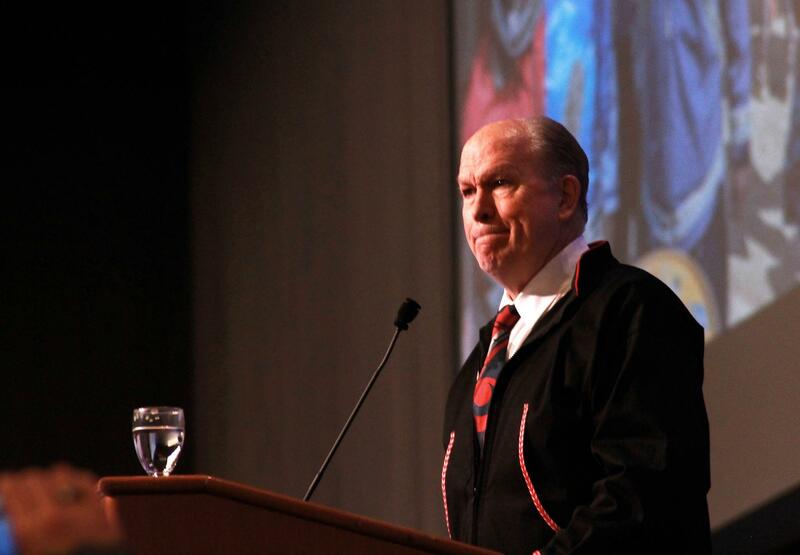 Walker closed his speech with apology to the Alaska Native. He said it was long overdue.